This luxury end-unit has it all. Excellent location within sought after Windemere on corner lot. All countertops and backsplashes were upgraded with exquisite black slab granite. Kitchen peninsula has ample counter seating, features 42 inch cabinets, all stainless steel appliances & food pantry. Spacious open concept layout with 9â ceilings & brilliant natural light. Gorgeous cherry wood floors and gas fireplace add to the charm. The second level boasts a bright loft, two good size secondary bedrooms & the master retreat. The large master has a sitting area, 5 piece ensuite bath & walk-in closet. 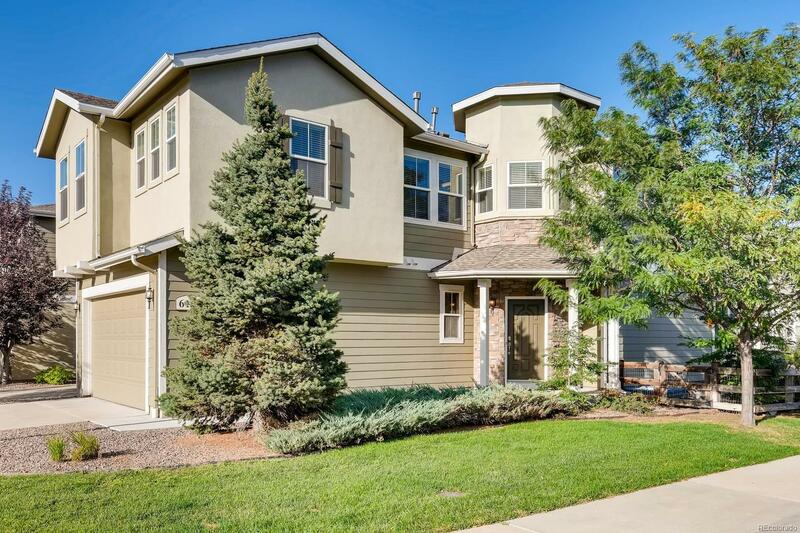 Sought after Cherry Creek Schools . Enjoy terrific amenities such as swimming pool, hot tub, tennis courts and new playground. Windemere is across the street from Cherry Creek State Park with community tunnel under Peoria! Enjoy miles of serene walking/bike trails. All furniture currently inside home is available for purchase for only $15,000 a small fraction of retail price at Macys.